Ages 6 to 11. 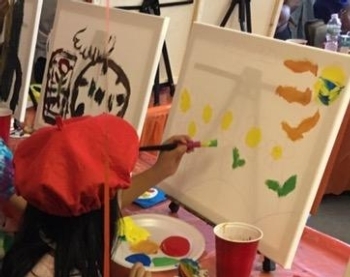 Come have a little fun painting anytime between the hours of 11am to 1pm on an 8x10 canvas! Additional canvas $5 each! All kids must be accompanied by an adult and all kids must be registered.